Hi, Good morning. Thank you, friends and viewers. 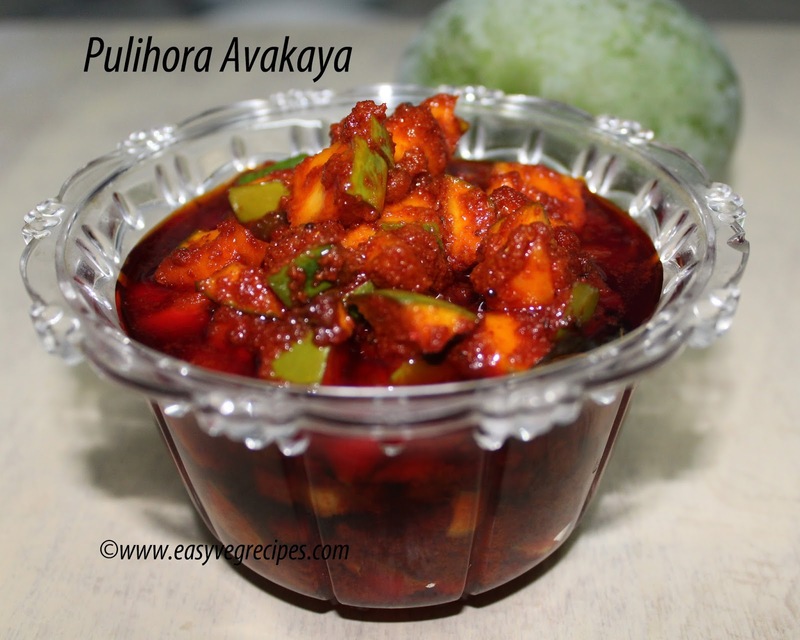 Today I will post how to make pulihora avakaya. Thanks to Saraschandra for this post. Avakaya or pickles is what we Telugu people love and it is an integral part of our day to day life. Pickles with mangoes is the most interesting and important activity of the season. With different varieties of mango pickling available around, we start with small portions and simple varieties till we make the original real AVAKAYA. Once the avakaya prepared and ready to eat no one touches other chutneys and sometimes people prefer to have only it. 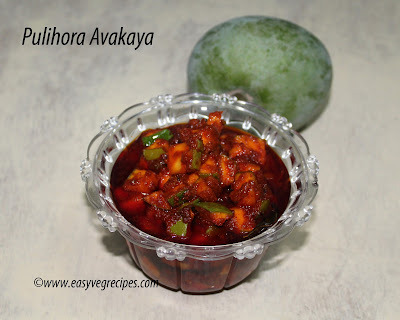 Avakaya is a spicy pickle and can be stored for one full year. Pulihora avakaya, maagaaya, turumudu pachadi, nune menthikaya and menthimukkalu are temporary pickles with mangoes. It is an activity in every household during summer season every year. Saraschandra my cousin is expert in making them. I just help her in mixing. She only prepared this recipe and I recorded the activity and uploaded it. Avakaya making depends on experience and common sense. The measurements given are not accurate and also they may vary from one mango to another depending on its sourness and size. We must use all ingredients fresh. Some people use self-made ingredients like chili powder...buy red chilies and dry them under the Sun for a week and get the chili powder done in a flour mill. Rai Powder -- dry mustard seeds under the Sun and grind to make a fine powder. Of course, we can use store bought ingredients also. SALT is the most important ingredient in pickles. It acts as the preservative. We get rock salt powdered, prefer to use that. DO NOT USE TABLE SALT. It is a standard rule, to keep the pickles fresh and avoid spoiling use only rock salt. Follow the video for clear understanding. Please do subscribe my channel for more updates. Soak tamarind and squeeze juice. Fry them till they turn brown, add bengal gram and black gram. Once the oil separates, add chopped mango pieces. Once all the mango pieces coated with the masala, transfer this to a wide plate to cool. Store pulihora avakaya in an airtight container. It can be stored for one month.